Ola and Meru are usually competitors who are slugging it out for a share of India’s taxi market pie, but they seem to have found common ground on one issue. Both seem to insist that their common rival, Uber, is not being all fair and square with its operations on India. On 28th June, Ola had submitted an affidavit to the Bangalore High Court, in which it had accused Uber of being a “foreign” player that wasn’t abiding by Indian laws. 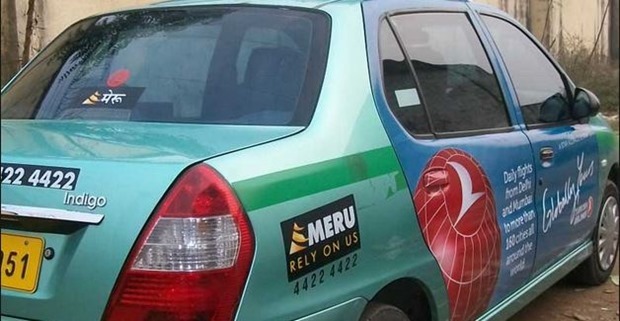 Two days later, Meru has published a blogpost accusing Uber in a similar vein. Not adhering to the Indian government’s 2 factor authentication system when it started operations in 2013. “This isn’t even some smart method of finding a loophole in the RBI guidelines but a blatant breach of the law of the land.”, Meru alleges. Claiming it was exempt from service tax until the service tax authorities had to step in. Circumventing laws around CNG vehicles: Black and white taxis are mandated to run on CNG by the government, but Uber, as it doesn’t own the taxis itself, continues to run diesel cabs. Uber drivers using an All India permit to drive their cabs, which doesn’t allow for point-to-point services within a city. Traditional taxis in Mumbai require all drivers to have a government badge to be able to drive. Many Uber drivers, again, because they’re private contractors, don’t have this badge. Continuing to charge surge prices after bans by Karnataka and Delhi. These do seem valid points. Globally too, Uber has run afoul of government regulations has it has tried to disrupt the taxi industry. Its approach of launching first and then worrying about laws has led to its rapid rise – it operates in 75 countries and is the most valuable startup in the world. But to be fair, in many cases, it has had no choice but to break the law – existing regulations simply don’t cover the on-demand service that it provides. But the timing of Meru’s blogpost is interesting. While Meru and Uber have feuded before (Meru had filed a case against Uber in Kolkata for anticompetitive practices, but the case had been closed by local courts), publishing the blog while Ola is simultaneously attacking Uber will help steps up the pressure on the San Francisco-based company. More interestingly, Ola also seems to be flouting several of the laws that Meru mentions in its blog, but Meru doesn’t choose to call it out. But it makes sense – Meru and Ola would do well to collaborate in India. Uber is hungry for both their market shares, and has deeper pockets than both put together. And while Meru doesn’t compete with Uber as directly as Ola does, these attacks don’t hurt – an enemy of an enemy, after all, is a friend.